December has arrived and the Christmas season is upon us. This is such a fun time of year; decorating, great food and gatherings. Let's be purposeful to slow our pace so we can enjoy each activity and the reason for the season. Thank you so much for the party, Cindy! Yes, let's be purposeful and enjoy all the beauty! Thank you, Cindy, for hosting it all. Thank you, Cindy! Enjoy your week! Thanks for hosting such lovely inspiration! I cannot wait to begin snooping around this beautiful party! Thank you for hosting, Cindy! Thank you so much for the inspiration Cindy. It's the most wonderful time of the year for blog parties! So much fun to see inside other folk's homes and their Christmas decorating. Thanks for hosting your party for us! Aw thanks so much for featuring my table Cindy, so glad you loved it and you made my day! Great features! 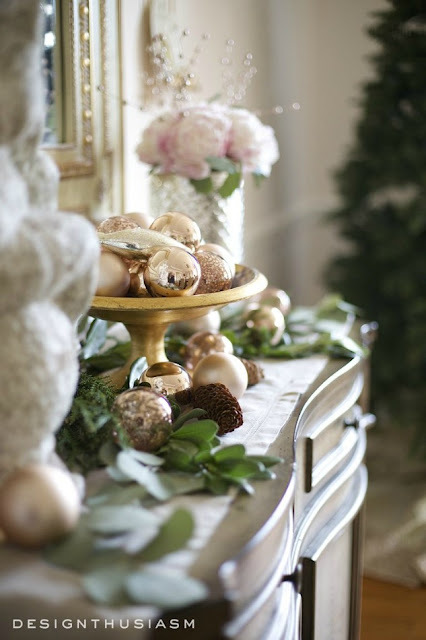 I know it must be hard to choose with so much Christmas inspiration out there! Thanks for hosting. Thanks for hosting, Cindy. Hope you are enjoying getting ready for the holidays as much as I am. Thanks, Cindy, for hosting another fabulous party! Have a great week. Happy December! I'm with you, and trying to slow the pace and have more enjoyment and purposeful engagement with family and friends. Thank you for your beautiful blog and inspiring words, always. Thanks so much for hosting! Wishing you a wonderful week, Cindy! Loved the features! So love this time of year with all of the amazing Christmas craft link ups! Thanks for hosting a great party, have a great week!